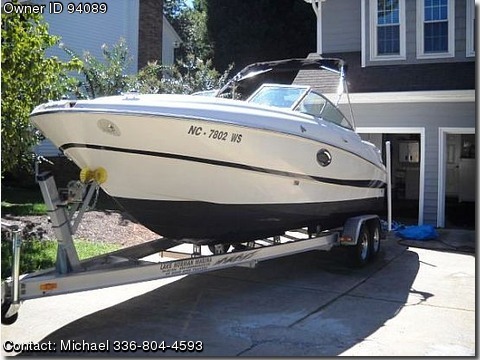 Call Boat owner Michael 336-804-4593. MAXUM SPORTS DECK, PLENTY OF POWER FOR SKIS AND TUBES. FRESH WATER AND TOLIET, TWIN STAINLESS STEEL PROP. Trailer is a 2011 tandem axle model with disc brakes.